Australia (Bob Doneley, James M. Harris, Deborah Monks). Click the link below to get to know these members better. The representatives from all across the world in the committee, are the eyes and ears of the AAV world-wide to ensure that each region’s needs can be heard. What does the International Committee have in store for you for 2019? Effectuation of the AAV, EAAV, AAVAC Sponsored Speaker Program that was established with our sister organizations (EAAV & AAVAC), that will provide funding to a conference in a developing nation to invite a renowned veterinarian recognized in the field of avian medicine and surgery to lecture at a conference tailored to educate veterinarians in avian medicine. Translation of the AAV client handouts into at least 6 different languages (Spanish, French, Portuguese, German, Dutch, Chinese). We welcome volunteers to step forward if they would like to translate the handouts into any other language. We are always interested to hear from YOU about what is needed from our international membership. If you have any requests or suggestions, please let us know! The AAV-IC strives to maximize member benefits for our international members. To achieve this goal, we investigate issues relating to the AAV membership in different countries, and communicate and recommend potential solutions to the AAV Board. The support of veterinarians from developing nations receives special attention. To optimize membership benefits, we work closely together with other committees such as the membership and education committee. Christal Pollock, as liaison from the membership committee, deserves a special mention here as she has proven on numerous occasions to be of indispensable value in the collaboration between both committees. The AAV-IC plays an important role in selecting an AAV conference scholarship applicant, which is then proposed to the AAV board for final approval. The AAV conference scholarship enables an avian veterinarian in financial need (not necessarily from a developing nation) to receive financial support for travel and accommodation so that he/she can attend the yearly AAV conference as well as participate in one of the offered hands on workshops. AAV-IC’s former co-chair and current president elect, Yvonne van Zeeland, has been one of the initiators and driving forces to strengthen the relationship and collaboration with the European Association of Avian Veterinarians (EAAV; https://eaavonline.org/) and the Association of Avian Veterinarians Australasian Committee (AAVAC; http://www.aavac.com.au/). The desire to strengthen the bonds proved to be mutual for all parties and will help benefit members, e.g. by having the past conference proceedings of all three organizations available to all members [see below]. In addition, a combined sponsored speaker program [see below] is almost ready to be announced. Surely more collaborations will follow. All three organizations have been working hard on making their proceedings electronically available to its members. Please have a look at the Proceedings Library to see the entire collection. The AAV, EAAV and AAVAC are currently in the final stages of setting up a joint program intended to yearly subsidize a renowned veterinarian to lecture at a conference tailored to educate veterinarians in avian medicine in a developing nation. Within the upcoming 6 months more information will be revealed on this great project. Any committee is dependent on the activity of its members. If you like to become actively involved in achieving the goals of the AAV-IC, please feel free to contact the committee and let us know how YOU would like to get involved! As many of the AAV-IC members will be at the upcoming ExoticsCon conference, we invite you to approach any of them with questions and/or suggestions on how you feel this committee may help support veterinarians in your country or region. We encourage you to attend our open committee meeting on (location and date will be announced in the program booklet). We look forward to meeting and/or hearing from you! Nico Schoemaker graduated as veterinarian in February 1994. Since then, he has followed an internship in companion animal medicine and a residency in Avian Medicine and Surgery at the Department of Clinical Sciences of Companion Animals at Utrecht University. The avian residency was recognized in the USA (ABVP) as well as in Europe (ECAMS), allowing him to follow both programs simultaneously. 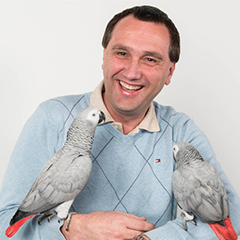 Since 1998 Nico is a Diplomate ABVP - certified in avian practice and a Diplomate European College of Avian Medicine and Surgery. By passing the exam, Nico became the first veterinarian in the Netherlands to become an avian specialist after following the residency and passing the exam. In 2003 Nico defended his PhD on hyperadrenocorticism in ferrets. During this study, Nico proposed a new hypothesis on the etiology of this common disease and a potential way to decrease the incidence on the occurrence of this disease. Research is still ongoing to support these hypotheses. Since 2009 the European College of Zoological Medicine was established, which now incorporates the avian specialty, but now also includes all other specialties dealing with exotic animal medicine. At the time of establishment of this new college, Nico was a "founding member" of the small mammal specialty and is since also a Diplomate in Small Mammal Medicine. He thereby became the first Small Mammal specialist in the Netherlands. As a clinician-specialist at the Division of Zoological Medicine Nico predominantly treats small mammals and birds, although he will see and treat reptiles as well. Aside from being a clinician Nico is heavily involved in all aspects of teaching at a university setting and performing research. The latter is focused on adrenal tumors in ferrets, relevant clinical topics in avian and small mammal medicine as well as studies into feather damaging behaviour in parrots, together with Yvonne van Zeeland. Isabelle Langlois graduated from the Faculté de médecine vétérinaire of the Université de Montréal in 1997. She completed an internship in small animal medicine and surgery at the University of Saskatchewan and a residency in avian/exotic animal medicine and surgery at the University of Tennessee. In 2001, Isabelle became board-certified by the American Board of Veterinary Practitioners (ABVP) in avian practice. She has been active in the certification process of the ABVP as vice-chair for the Avian Practical Examination and serving on the Credentials Committee. 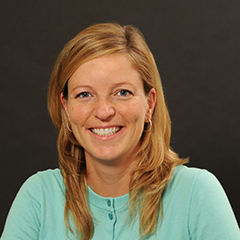 She has authored a number of peer-reviewed studies, book chapters and currently serves as associate editor of the Journal of Avian Medicine and Surgery. She is currently a clinical instructor and service chief of the Exotic animal clinic of the Centre Hospitalier Universitaire Vétérinaire (CHUV) of the Université de Montréal. She teaches veterinary students in avian/exotic animal medicine and is responsible for the internship program in Zoological medicine.